Hospitals obviously need highly strict cleanliness standards. Unfortunately, what may seem like a simple task can pose a huge health risk to patients. According to an unannounced health inspection report at one hospital, improper storage of linens may have led to a serious mold outbreak that affected multiple patients and their families, even leading to deaths. 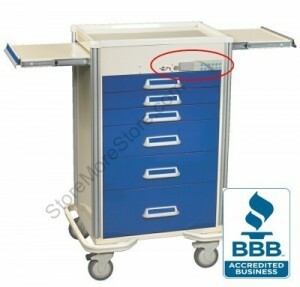 Luckily, these simple linen supply carts provide a solution to a potentially deadly problem. 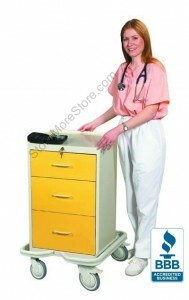 Both clean and soiled linens require specialized storage in hospitals. Otherwise, mold, fungus, bacteria, and dust can accumulate on clothing, risking the development of hospital-acquired infections for patients. 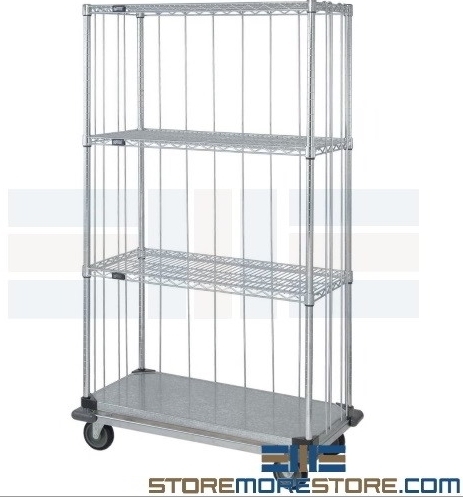 With its chrome wire construction, the linen supply carts allow air to flow freely between shelves to prevent this. 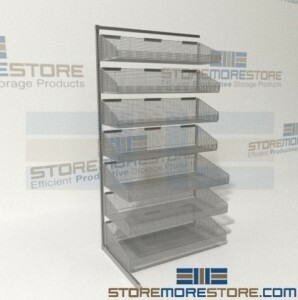 Its enclosed design also helps protect stored linens from spills or pilferage and tampering. This also makes transport fast and easy by preventing the linens from moving or falling off the cart. 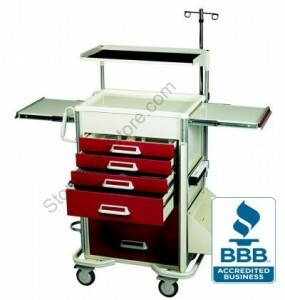 They’re not just for hospitals, either; the carts are great for hotels, housekeeping, athletic teams, and more. 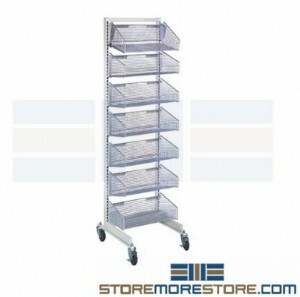 Carts are available in two heights and with four or five shelving levels depending on your needs. 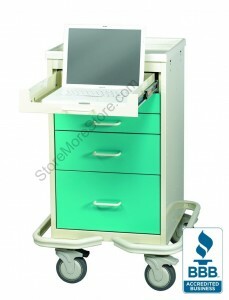 Additionally, the cart’s vertical rods are completely adjustable. 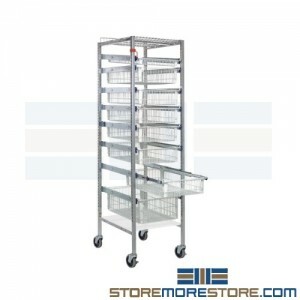 You can also choose from stem caster carts or carts with dolly bases, which provide an extra level of durability for heavier storage. 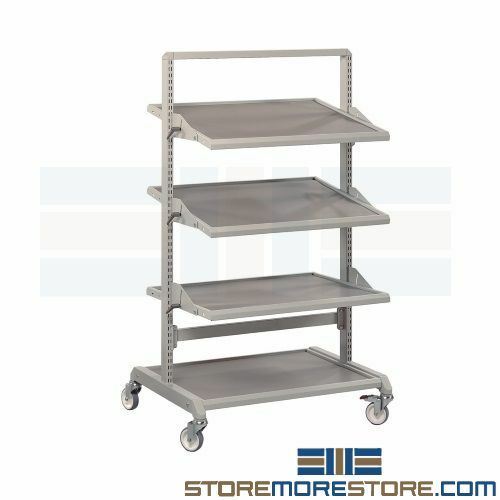 Click here to shop for linen supply carts online. For further assistance, call us at 1-855-786-7667 or send us a message to speak to one of our storage experts. Dust and dirt particles can do more damage than most people think and can cause damage or failure of delicate computer systems. This is especially true in dusty industrial environments like warehouses. 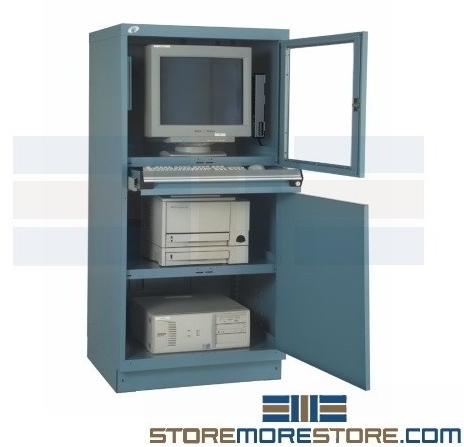 Dust-free computer cabinets and carts are an easy way to provide this needed protection and keep electronics running in top shape, available in wall-mounted, movable, or stationary options. Even just everyday warehouse operations can cause the buildup of dust over moving parts and filters, which prevents air to flow through the computer. This can cause computers to overheat, crash, or, in worst-case scenario, even catch fire, taking all of your important data with it. 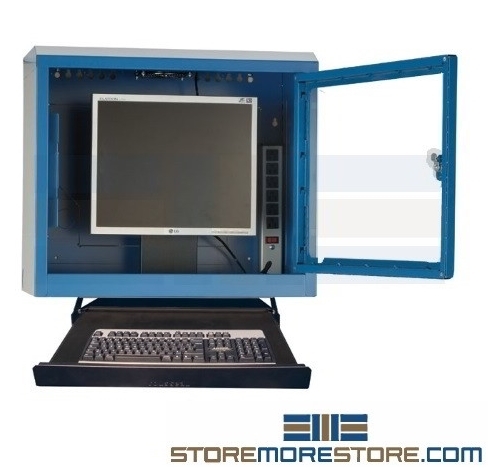 For these reasons, the dust-free computer cabinets aren’t just regular cabinets, as each one includes a built-in filtration system with a fan that creates a positive airflow, preventing dust from entering the cabinet even when the sealed doors are open. They also make computers, printers, and keyboards easy to find and access. 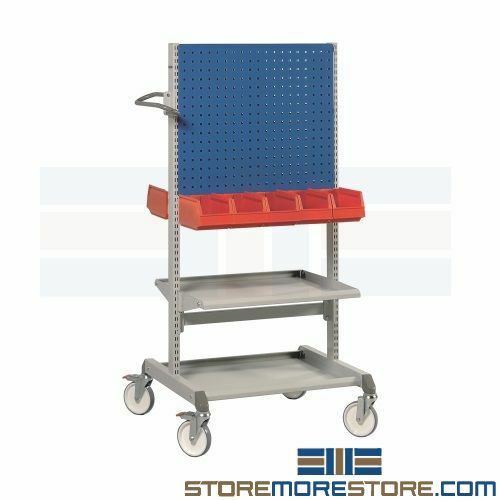 If multiple workers need to use the computer during the day, then the carts with casters are perfect for efficient, quick, and safe transfer of computers across your warehouse or other facility. 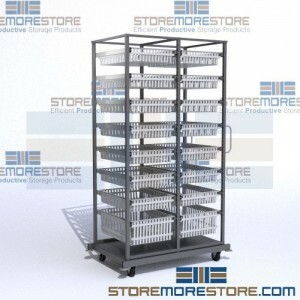 Dust-free computer cabinets and carts are available to buy online and ship in 10-15 business days. For more information or if you need additional assistance, please call us at 1-855-786-7667.